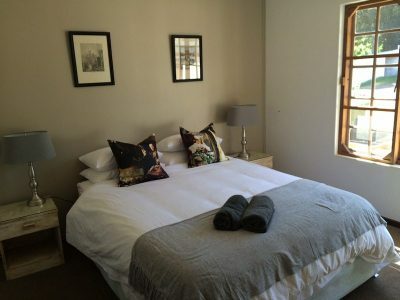 The house is a perfect destination for a group of friends or family, and can sleep up to 8 people in the 4 bedrooms. The house is of close proximity of Main House. 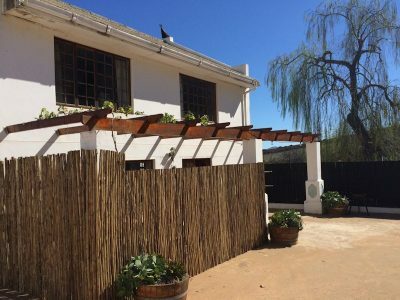 It is fully equipped for self-catering with fridge, stove, microwave, washing machine, dishwasher, indoor fireplace, outdoor braai & communal swimming pool. 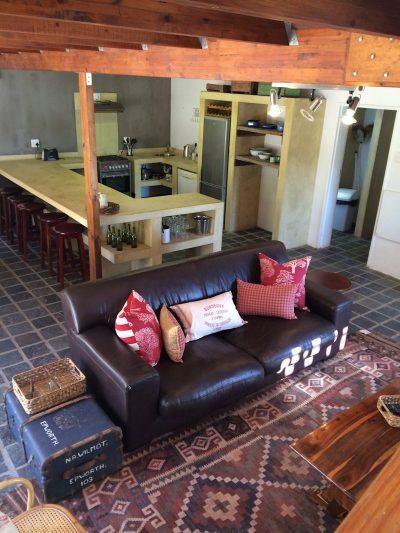 The house boasts a trendy open-plan kitchen & cozy lounge with fireplace. The fun, relaxed atmosphere on the farm makes it the perfect getaway for the entire family. 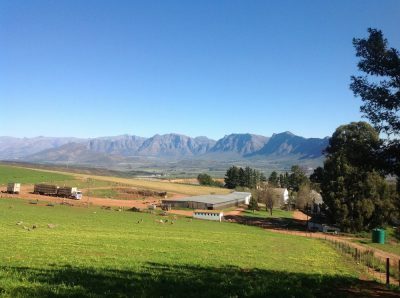 Stunning views of the mountains & entire Breerivier valley. Take the N1 toward Paarl/Worcester through the Hugenot Tunnel. Continue straight over the railway bridge until the road forks, turn left. Continue straight until the road forks again and keep left. 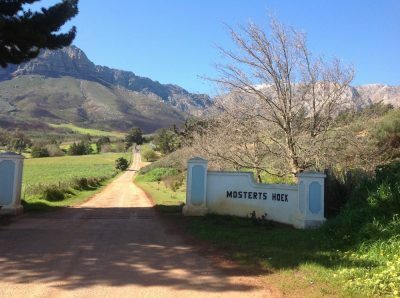 You will pass a farmhouse on your right and find a very steep hill – after this you will get to the farm entrance straight ahead of you – MOSTERTSHOEK!